"I have two rings that I don't wear. I don't really want to sell them but, I don't know what to do with them!" said the lady. She then produced two rings out of her handbag: one was a large emerald-cut aquamarine cluster ring and the other was an old diamond eternity ring that was made redundant when she upgraded her eternity ring a few years earlier. Christopher went through a number of different options with her. Together they narrowed down the design ideas she loved and which ones would work with the gemstones she had. The plan was to create one ring, using the gemstones and diamonds from both. 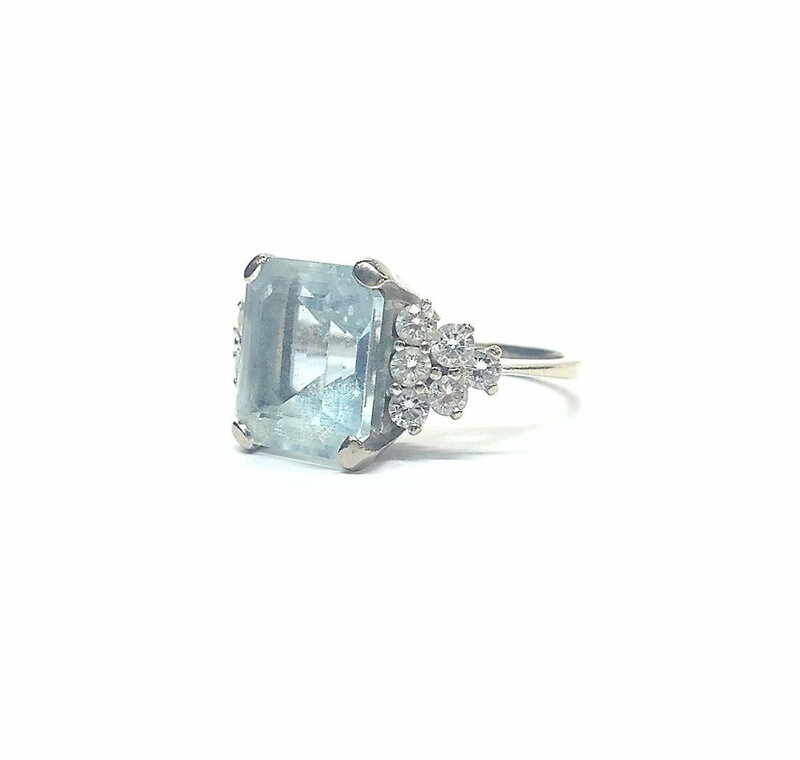 It was agreed that the impressive aquamarine would be the main focal point of the new ring with four squared claws as its setting. There were four pave-set diamonds set slightly lower than the main aquamarine at each side in an art-deco style formation. The band then tapered, again with the remaining diamonds pave-set into the band going around the finger. My client wanted modern, sleek lines and a more chunky feel to the ring. We selected the best of the diamonds to use in the side bar and in the shoulders. Created in platinum.